Buachaille Etive Mor is one of the most beautiful mountains and its N peak, Stob Dearg is a magnet for climbers, hillwalkers and photographers. 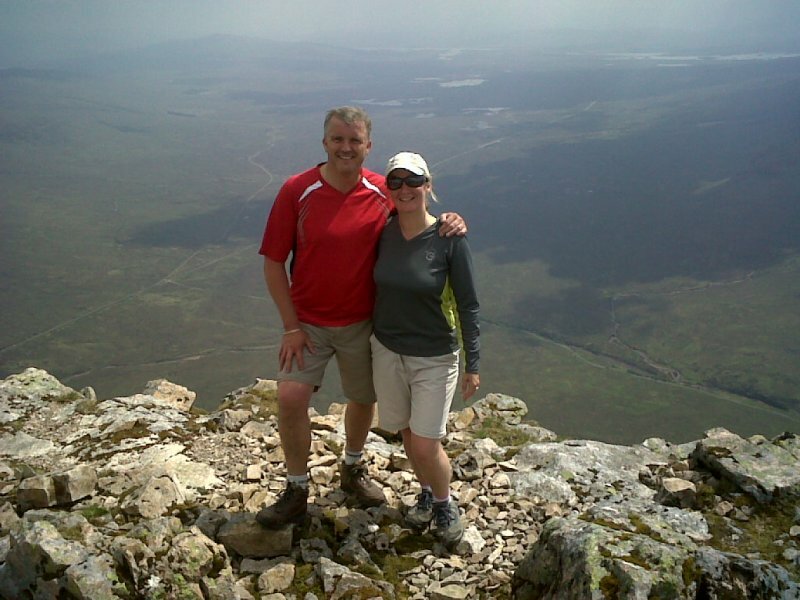 Buachaille Etive Mor is orientated SW to NE with its two munros at either end of a long winding ridge. Stob na Broige lies at the SW end of the ridge overlooking Glen Etive. 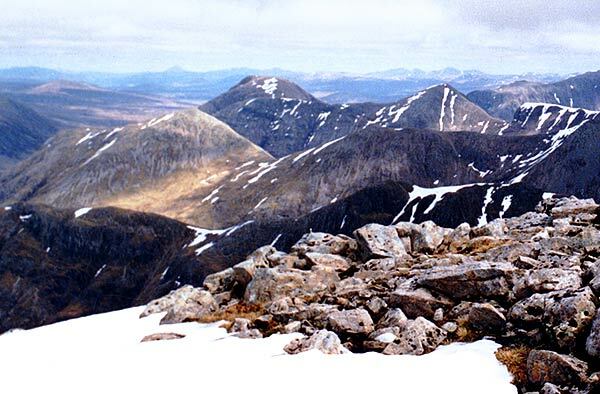 As this end of the ridge is steep and craggy, the normal ascent routes are on the crest of the ridge from Stob Dearg, or by an ascent to the col between Stob Coire Altruim and Stob na Doire, either from the path to the W in Laraig Gartain or from the road in Glen Etive to the E.
Stob na Broige looking west over Stob Coire Altium from Stob na Doire on the Buachaille Etive Mor. 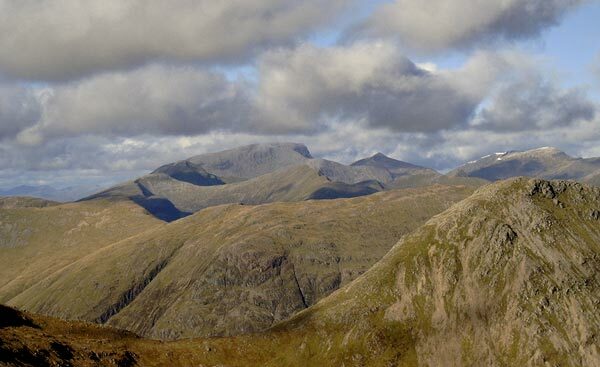 The two peaks of Buachaille Etive Beag, with the two peaks of Buachaille Etive Mor behind, viewed from Bidean nam Bian. Ben Nevis and Carn Mor Deag from Stob na Broige - 13 Oct 2005 with snow on Aonach Mor and Aonach Beag? 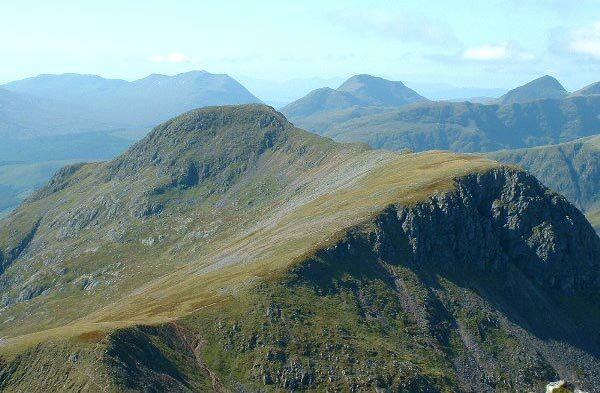 The summary information of one or more ascent routes that include Stob na Broige. 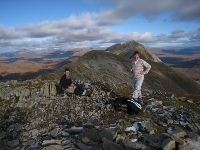 Danny & Jack on the summit of Stob na Broige with a view back our route to Stob Dearg. Beautiful but cold clear day. 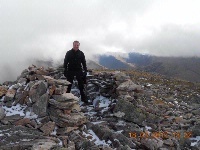 Post a few words about Stob na Broige or read what others have had to say. We parked in Glen Etive at 212 516 and climbed straight up the grassy slope, over Stob Coire Altruim and on to Stob na Broige. After visiting Stob na Doire, we descended back to Glen Etive southwards from the bealach by keeping well to the right in the upper corrie and rejoining the ascent route lower down. 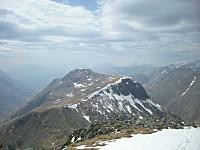 Seldom gets a mention because its at the back and not quite as "shapely" as its illustrious brother Stob Dearg. But viewed from Glen Etive it is almost as beautiful. 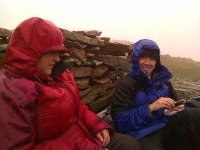 Although I climbed the two in the traditional route up the insufferable scree of Corrie na Tulaich (awful !) 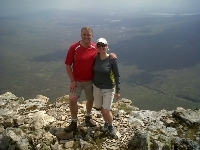 then the tops to Stob na Broige and back by Lairig Gartain "swamp", I couldn't help think of a better route. If 2 cars were available i would start in Glen Etive from Dalness and climb Stob na Broige first, across the tops to Stob Dearg and "down" the scree to the car park just off the A82. Otherwise, get the "gaiters" out!